Thursday 22nd December 2016. A pre Christmas juniors/members ride (all are welcome) has been organised for Thursday. We’ll head over to Garn, Tremadog and to Harlech via Penrhyn. From Harlech its on to Llanbedr and into the hills above Hafod y Llyn and over to Bryn Bwbach and down to Llandecwyn. Its then back to Beddgelert (via Rhyd), Rhyd Ddu, Penygroes and Llanwnda. Approx 68 miles. Please note that this a lumpy ride. Sunday 11th December 2016. A juniors/members (all are welcome) ride has been organised for Sunday. Saturday, 3rd December 2016. The juniors (all welcome!!) ride has been organised for Saturday. 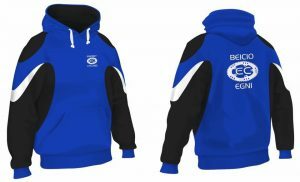 The hoodies are in stock from tejac,members that have pre-ordered them with me on Facebook can call at Caernarfon tyres from tomorrow 22/09/16 to try them and pick them up. If you’re still interested in purchasing a hoodie call in to see Alun, he should have some left over. The cost is £32 each cash, cheque or bacs payment. (no credit sorry)!!! A club ride is organised every Wednesday evening through the summer. Please check the Club’s Facebook Page for details which are posted few days before. Thank you to Karl Jones for organising these rides.